Herbert J. Walberg and Joseph L. Bast are chairman and president, respectively, of The Heartland Institute and authors of "Rewards: How to use rewards to help children learn — and why teachers don’t use them well" (October 1, 2014; ISBN 978-1-934791-38-7). Young children like to show what they know to those who will listen sympathetically and sincerely. They may require rewards such as listening and gold stars that can be easily given and readily understood. It is easy for teachers to miss many of the ways they create incentives in their usual classroom routines. Insightful, skillful teachers instinctively consider and act on their students’ likely reactions to incentives. They notice what does and does not constitute a reward for a particular child or group of children. Many rewards in elementary school classrooms arise from the learning process itself. Young children experience pleasure when discovering new information or developing a new skill. In an elementary school classroom, this should be occurring with great frequency. Teachers should be on the lookout for small as well as big achievements, should congratulate young learners, and, when appropriate, should point out how even small achievements will make further achievements easier. Very young children experience pleasure when they are able to recognize and pronounce the names of simple objects, such as fruits or animals. Direct Instruction authority Siegfried Engelmann uses this principle in teaching reading . When reading a short story the first time, the teacher covers the illustration for the words he or she reads, both to keep it a surprise and to prevent the child from guessing at the words by looking at the picture. After the child has sounded out the words phonetically, the teacher uncovers the picture, rewarding the child for decoding the words that describe it. In this instance, both pronouncing the correct sounds and viewing the corresponding picture reward the child for his or her accomplishment. Though disparaged by Alfie Kohn, author of Punished by Rewards, stickers, prizes, and parties can be appropriately used in preschool and elementary classrooms. Without these tangible rewards or feedback from their teachers, students may be unsure if they performed a task successfully or of the value of the task they performed, or they may quickly forget it. Rewards convey valuable information to even the youngest learner and make learning specific knowledge and insights memorable ­– an essential step toward further learning. Elementary school teachers do this, for example, when awarding small children construction paper “ice cream scoops” for each multiplication set they memorize or book they read outside class. Nearly all children like ice cream, so the appearance of another scoop in their cone is immediately understood as a good thing, whereas a longer row of stars or a higher grade may not convey that understanding as quickly or as clearly . All the children can see whose “ice cream cone” is largest, and most will readily compete for it to be theirs. This symbolic reward has the added advantage of having no sugar. Other rewards may be as simple as a sticker attached to a paper, or one that can be worn on a shirt or jacket, or designating a child “teacher’s helper for the week.” Parties and prizes celebrating individual or group successes, such as perfect attendance or completion of a multi-step project, amount to a combination of small rewards – surprise, entertainment, success in a competition, and recognition – that make an achievement especially memorable. Surprising though it may seem, children as early as second grade can be motivated to learn by the promise of money, be it real or “play money” that can be used to purchase school supplies or other goods and services. The use of such reward systems is not new, and it appears to be fairly extensive, at least in private schools . The rationale for offering money to elementary students is straightforward. Children from their earliest ages see money being used to pay for goods and services and naturally desire to imitate the behavior of adults and older children who have solved the riddle of exchanging a token for a desired item. Handling money, whether real or play, teaches math skills, the value of deferred gratification, and (at least in higher grades) economic lessons. To the degree that learning can be difficult – and we readily concede it not always is and shouldn’t be presented this way to younger students – students understand intuitively the fairness of the transaction. They are paid for working hard. Finally, real money, and, to a lesser extent, play money can be used to buy a variety of items that may be desired by students, making it more likely to motivate more students than, say, offering pencils or books. A New Yorker cartoon from several decades ago showed a boy with raised hand asking, “Do we have to do what we want to do today?” It’s a question that needs to be asked in too many classrooms. Children often recognize the value of structure and guidance even when the adults around them have been persuaded otherwise. Well-designed and carefully implemented reward systems can improve student achievement in elementary schools. 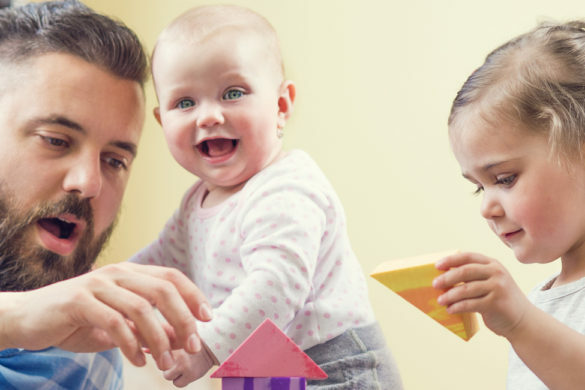 While young children are often intrinsically motivated, they benefit when their accomplishments, however small, are pointed out by parents and teachers and appropriately rewarded. Not all learning is easy or entertaining, and the presence of incentives and rewards can help young learners confront and overcome obstacles and distractions. At least seven kinds of rewards are appropriate and effective in elementary schools: verbal praise, rewards built into lessons, small tokens (stickers, parties, and prizes), grades, arts incentives, money (real or play), and student-initiated rewards. The use of these forms of incentives and rewards with children and adults is not due to some mass delusion about their effectiveness nor some insidious plot to condition people for lives as workers for some elite. The incentives are used because parents, teachers, and students themselves recognize that they work and appreciate them. Teachers should not be afraid to use them more often and parents should not hesitate to challenge teachers and administrators if such rewards seem to be absent from their children’s schools. As described by Shepard Barbash, Clear Teaching (Arlington, VA: Education Consumers Foundation, 2012). For an example, see http://www.uniqueteachingresources.com/multiplication-sticker-charts.html, last viewed August 1, 2014. Dewey Lipe and Steven M. Jung, “Manipulating Incentives to Enhance School Learning,” Review of Educational Research 41, no. 4 (October 1971). Major Arctic Sea Ice Story Lurking, But Is Anyone Watching? Will Radical Universities Dominated by Radical Professors Doom this Nation?